In WebWave - website builder with no coding - every day at 3:00 am a backup copy of all websites is being made and it is kept for 30 days. 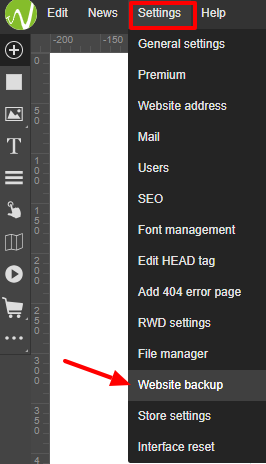 Additionally, whenever you publish a website, it's being saved and you can restore a website in the builder. If you changed some elements on your website and saved them, but you are not happy with the outcome, your best option is to restore a backup copy and save the time you would spend on recreating the project. If your website doesn't have an active Premium Plan, you can only restore in the builder currently published website. In order to make any other backup copies, you need to activate a premium plan. How to create a backup copy on your own? 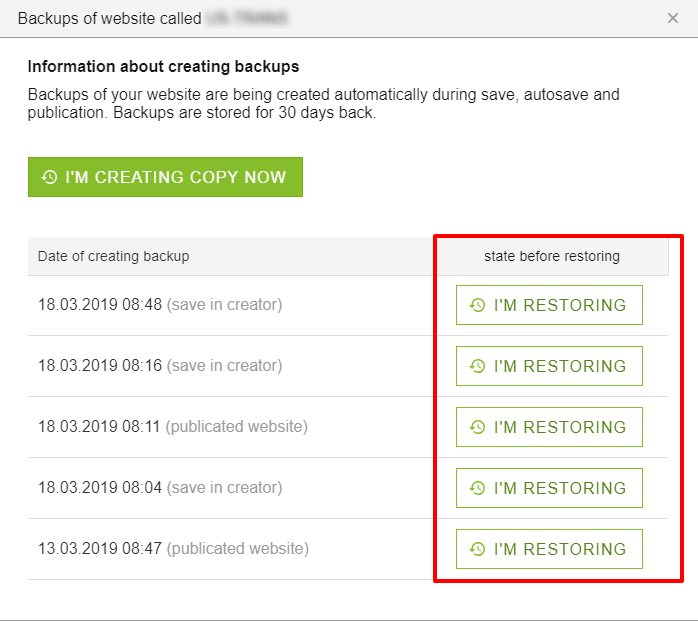 Go to "Settings" and select "Website backup"
Select "I'M CREATING COPY NOW"
How to restore a backup copy? Next to the copy you want to restore, select "I'M RESTORING"
What's a backup copy and how to use it?